Almost nothing is known about the life of Dionysius before his election as Bishop of Milan, which took place in 349. Dionysius was probably of Greek origin. He was a friend of the Roman Emperor Constantius II before being elected Bishop of Milan. The historical period in which Dionysius lived was marked by clashes between Arians and the Orthodox supporters of the faith of the Synod of Nicaea. Even Emperor Constantius II favored Semi-Arian doctrines. In 355 Pope Liberius requested the Emperor to convene a Synod in Milan, which was held in the newly erected Basilica Nova (or Basilica Maior or St. Tecla). The Synod however did not accomplish the hopes of the Pope due the overwhelming number of Arians bishops present and the enforced absence of the champion of the Nicaean faith, Eusebius of Vercelli, thus it was deemed a Robber Synod. Initially Dionysius seemed ready to follow the Arians in condemning the Archbishop Athanasius of Alexandria, who was accused not of heresy but of lese-majesty against the Emperor. With the arrival of Eusebius the situation changed. Eusebius requested an immediate subscription of the Nicaean faith by the bishops. 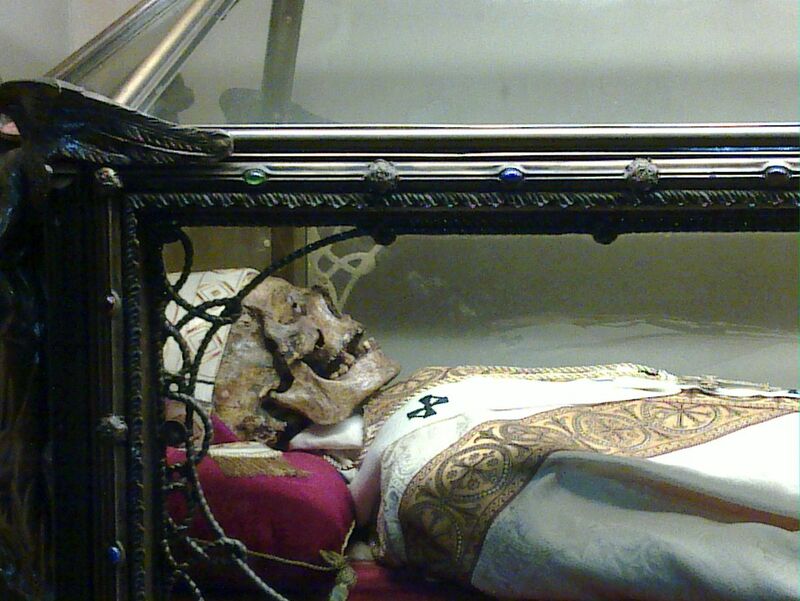 Eusebius, the Papal legate Lucifer of Cagliari and Dionysius signed, but the Arian bishop Valens of Mursia violently shredded the act of faith. Constantius, unaccustomed to independence on the part of the bishops, moved the synod to his palace, and grievously maltreated Eusebius, Lucifer and Dionysius, which were all three exiled (also Pope Liberius was shortly later exiled). Dionysius was exiled to Caesarea of Cappadocia and was substituted as bishop of Milan by the Arian Auxentius appointed by the Emperor. Dionysius died in exile between 360 and 362. According to a late tradition (12th cent. manuscript of Epistle 197 by Basil the Great that may contain forged elements about Dionysius), Ambrose sent in 375 or 376 a delegation to recover the relic of Dionysius, which were kept by Saint Basil the Great, and to translate it to Milan. 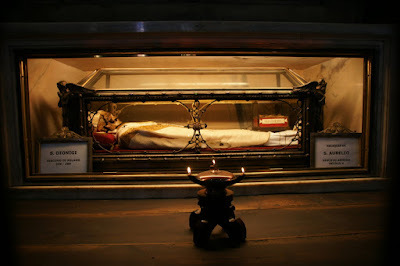 Even if it is historically difficult to determine when exactly the relics of Dionysius were translated to Milan, a primary source states that the relics were already in Milan in 744. A shrine dedicated to Dionysius was erected in Milan near Porta Venezia but it was destroyed in 1549, rebuilt nearby and definitely knocked down in 1783 to leave space for the new gardens. The relic of Dionysius was translated to the Cathedral of Milan in 1532, where it is still today.